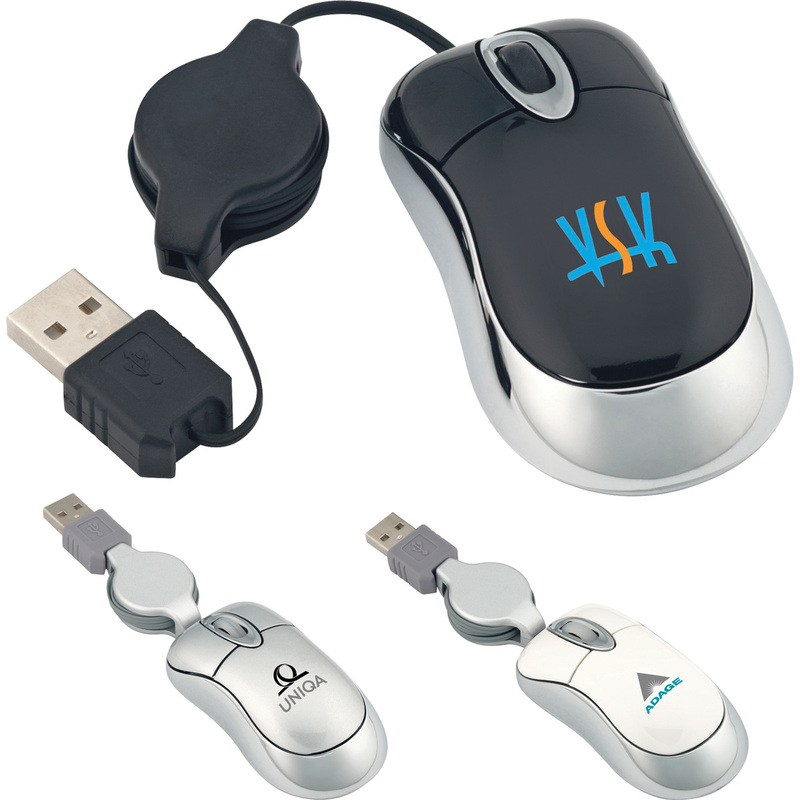 Wire Mouse that is compatible with Windows and Mac operating systems. Retractable USB cord extends 27". 19 lbs. per 100 pcs.